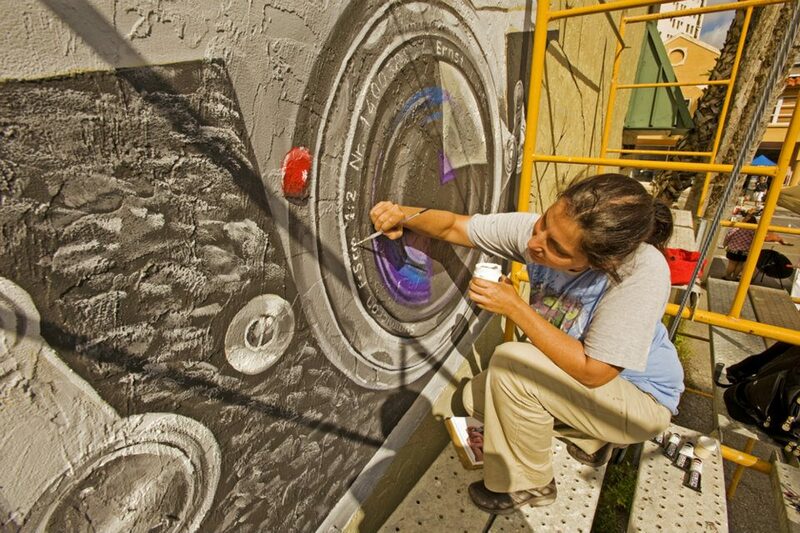 This was created during the Sarasota Chalk Festival – 1-7 November, 2011. For the first time, it had a “going vertical” addition – meaning murals and graffiti art. 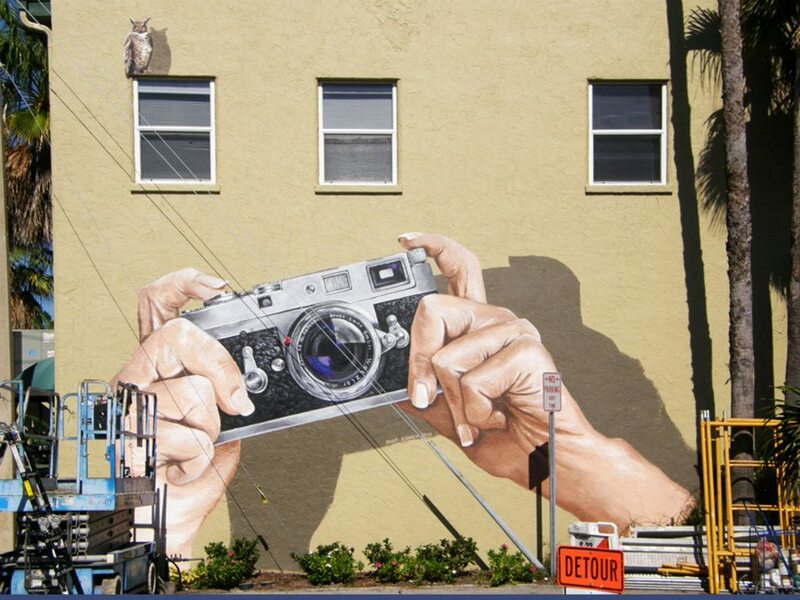 The wall belongs to a photography studio, and the owner took the reference picture that was the basis for the mural. I came up with the idea, and him being a photographer, took a picture of his own favorite camera. 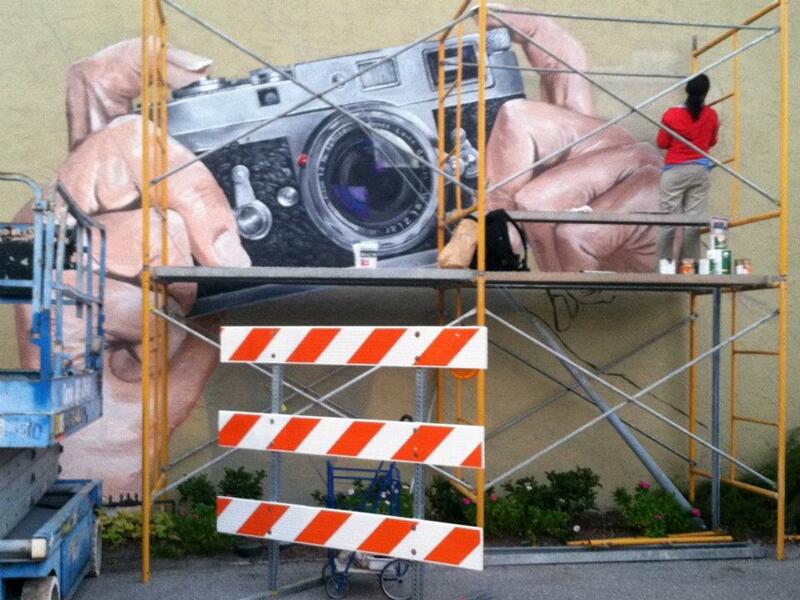 I work with brushes – the main mural measures 15’x20’ and was completed in 3 full days. You can see the rest of the pictures on Facebook.